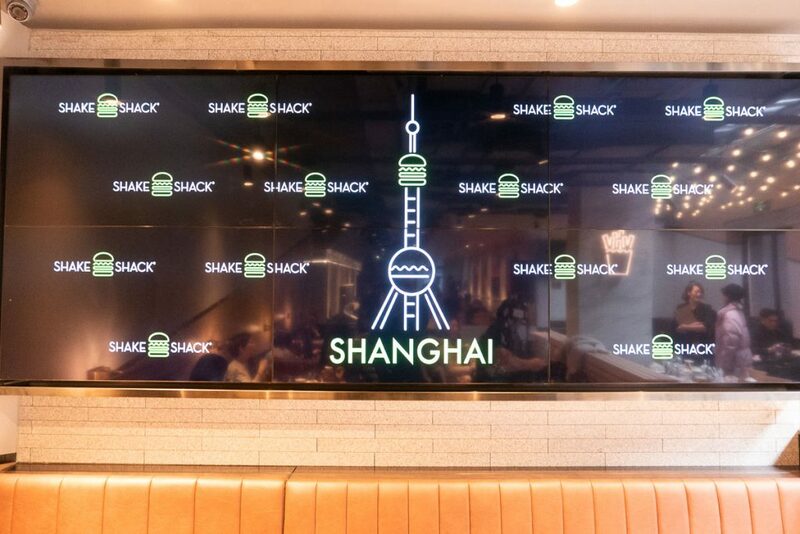 Shake Shack has opened in Shanghai! 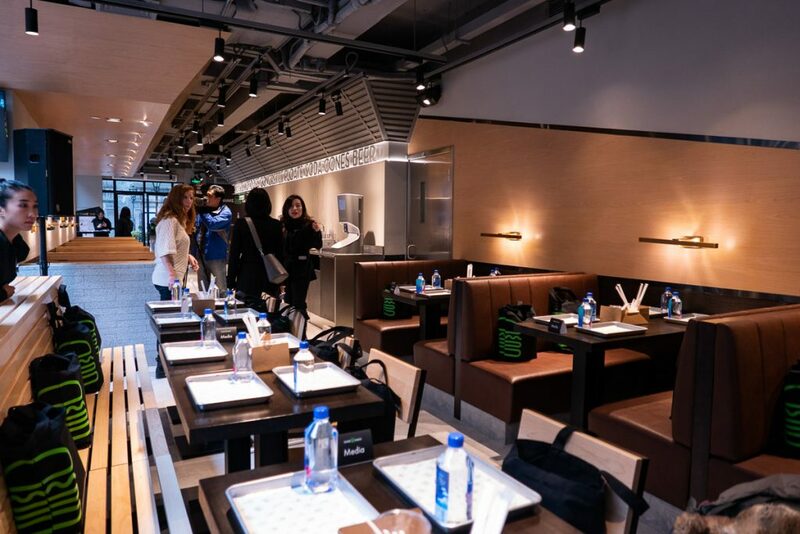 This is their first location in mainland China, opening a year after the first Hong Kong location (which now has two, ifc mall and Pacific Place). 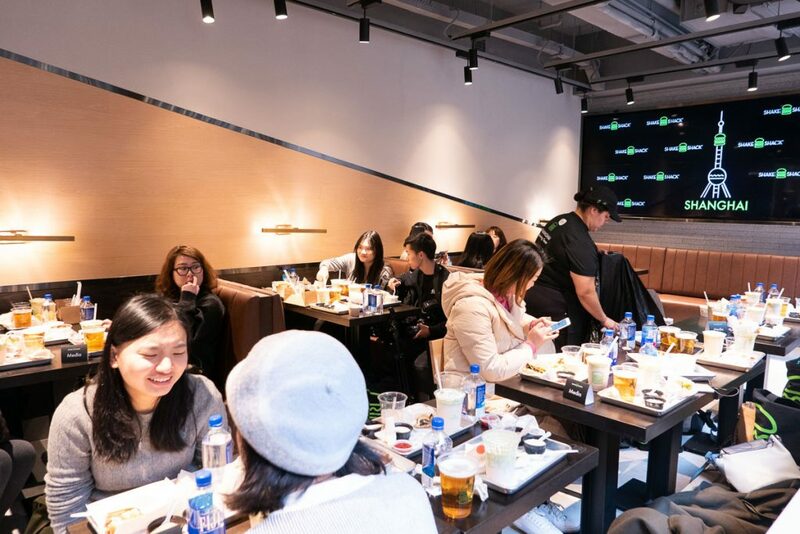 Shake Shack Shanghai officially opens to the public on January 24, 2019, but I got a preview, so here’s a sneak peek! 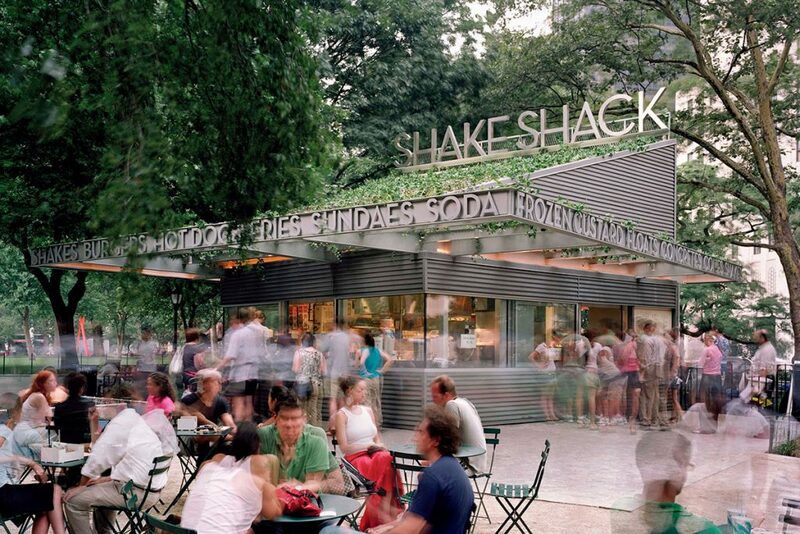 Shake Shack started from a hot dog cart inside Madison Square Park in 2001 and graduated to a permanent stand within the park in 2004. 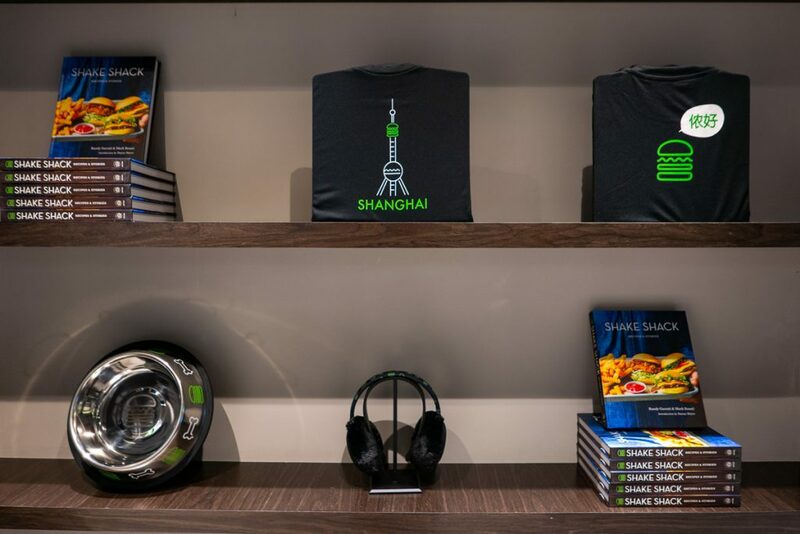 It now has more than 200 locations worldwide, and has generated a cult-like following around the world. 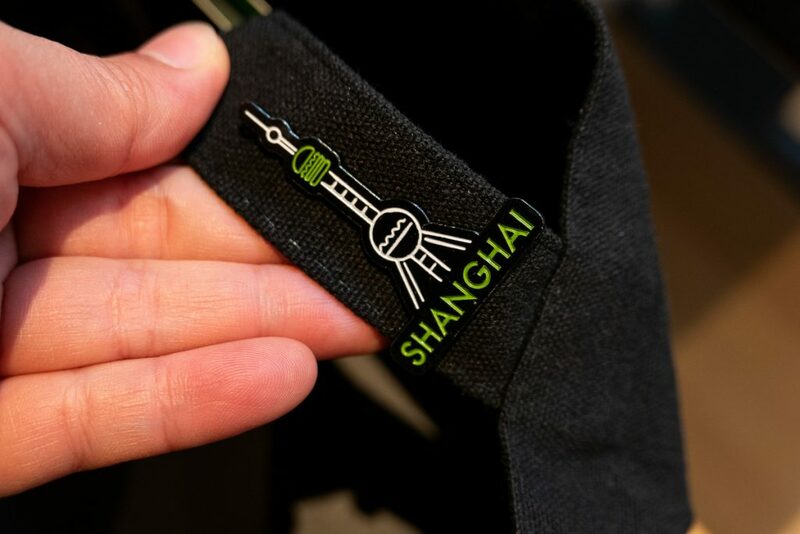 Shanghai marks its 211th location. 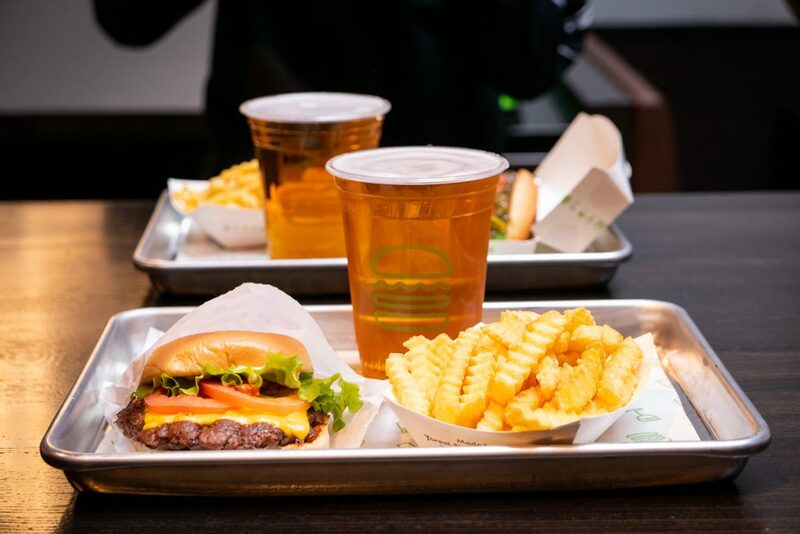 The first 200 people in line when doors open at 11am will receive exclusive Shack earmuffs! 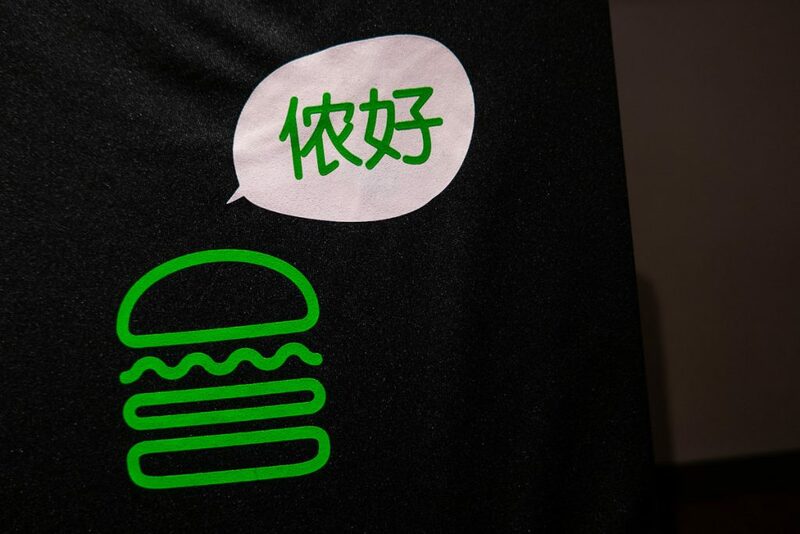 Shanghai’s foodies love a good queue, so you can be they’ll be there bright and early. 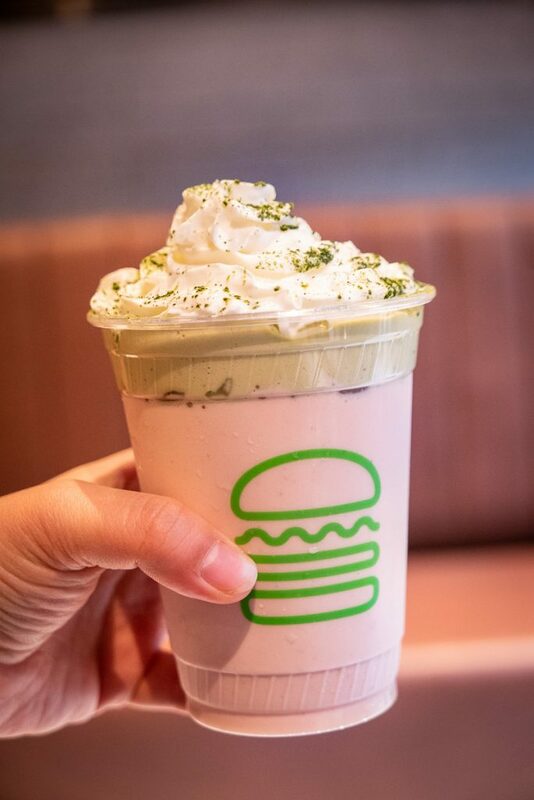 Vanilla frozen custard blended with strawberry puree and yuzu juice, topped with whipped matcha cream cheese, whipped cream and matcha powder. 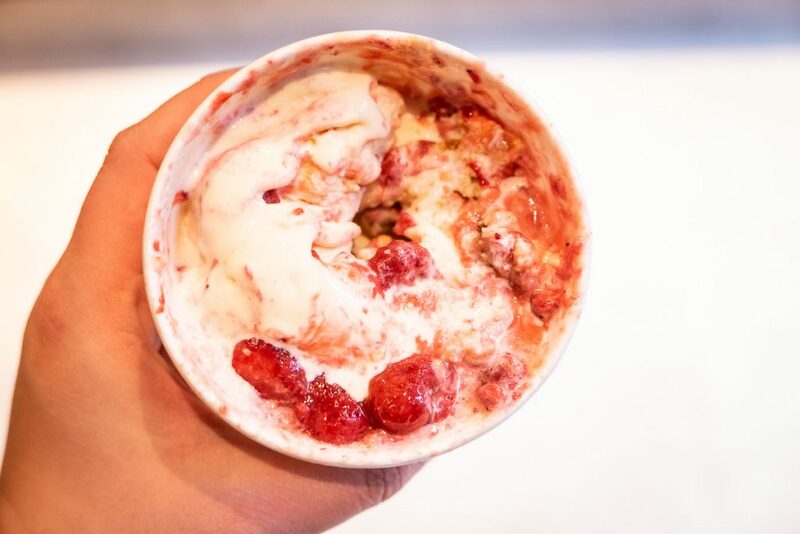 Frozen Custard – Dense, rich, and creamy frozen custard is spun fresh daily. 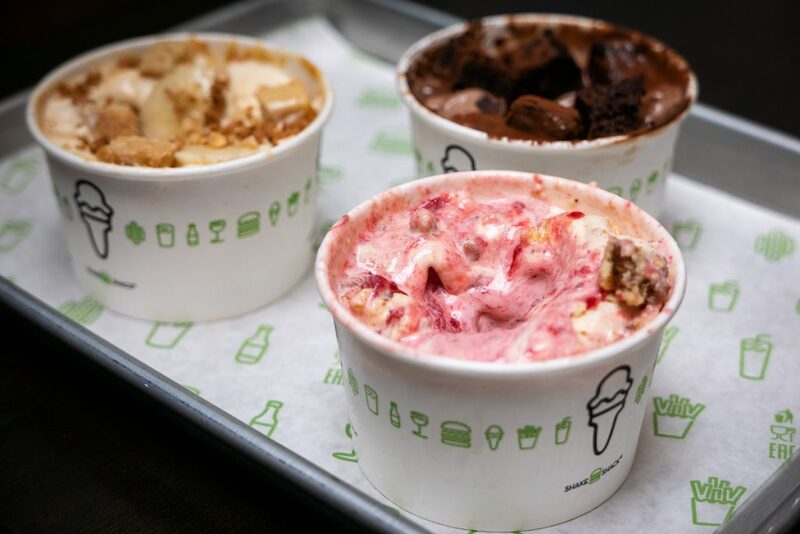 They have two flavors: chocolate and vanilla, but three localized “Concretes” (¥39/single, ¥58/double) with toppings. Chocolate custard, Al’s Baking Co. (nice one!) 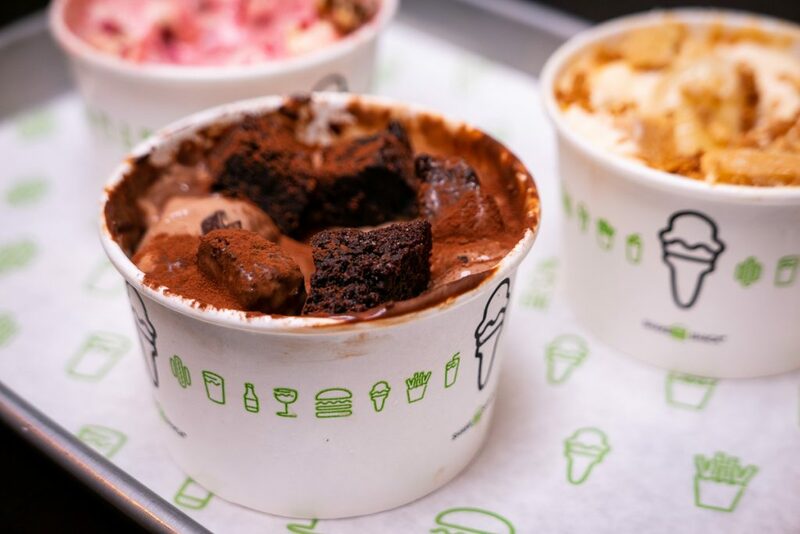 brownie, fudge sauce, chocolate chunks, cocoa powder. Vanilla custard, Al’s Baking Co. cheesecake, strawberry puree, strawberries. 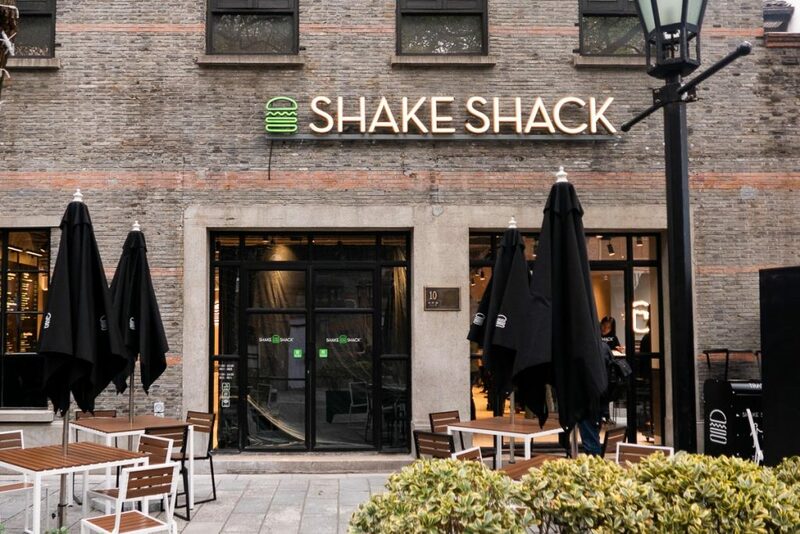 As part of Shake Shack’s mission to Stand For Something Good®, the Xintiandi Shack will donate 5% of sales from its Straw-Bei Li Cheesecake concrete to Flying the Hope, an educational assistance program that helps students from underprivileged families complete their studies and cultivate their achievements. 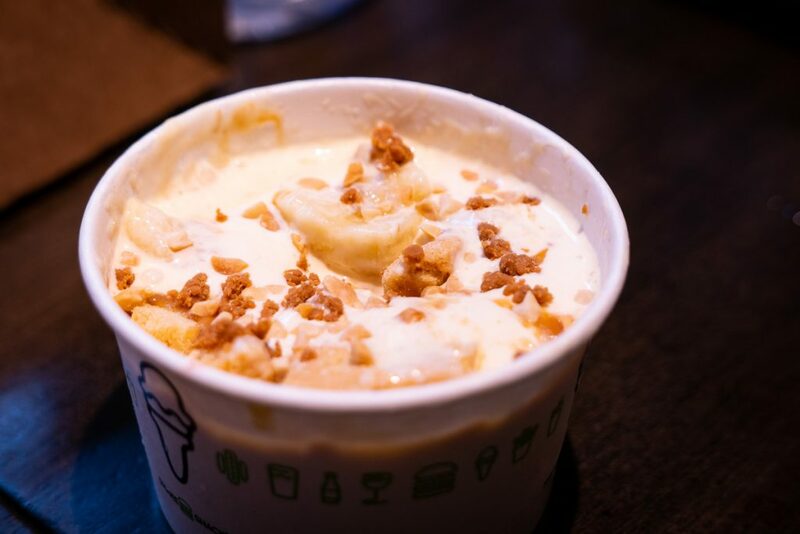 Vanilla custard, Sweet Teeth caramel, miso caramel sauce, banana, shortbread, crushed peanuts. 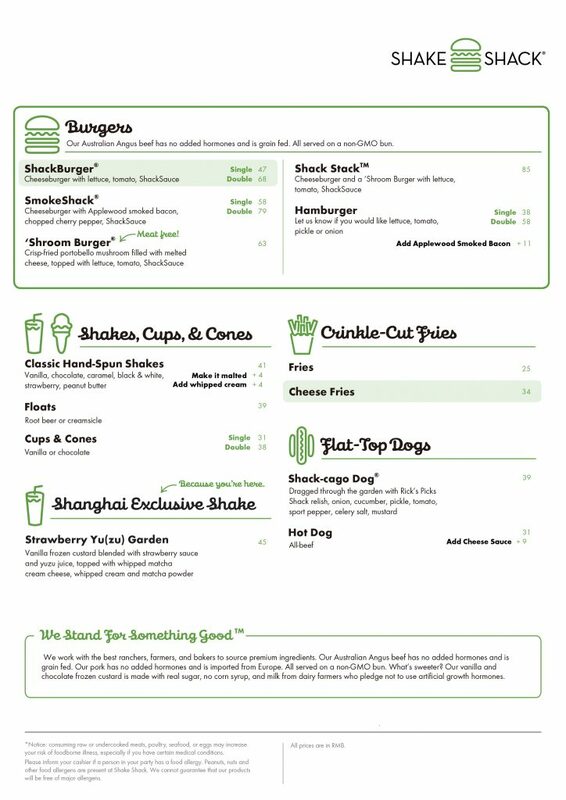 The menu features Shake Shack’s signature items including the ShackBurger®, Shack-cago Dog®, and classic crinkle-cut fries. 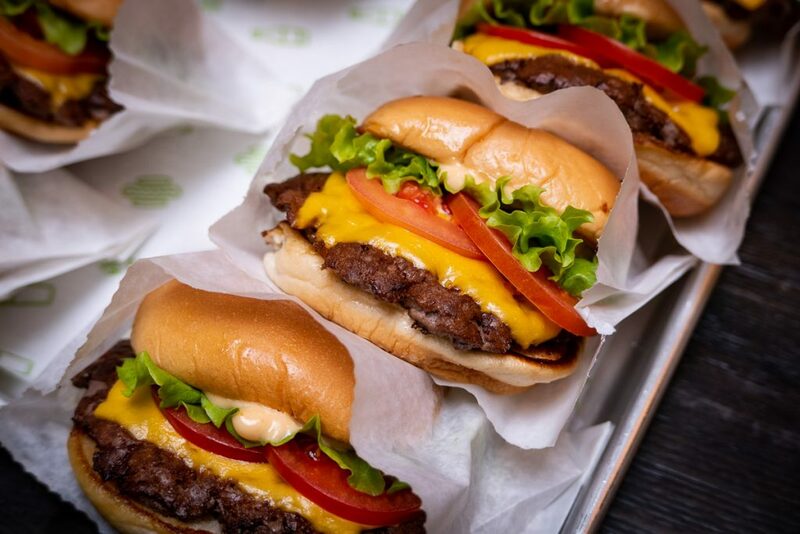 ShackBurger® (¥47/single, ¥68/double) – Single or Double Cheeseburger topped with lettuce, tomato, ShackSauce™. 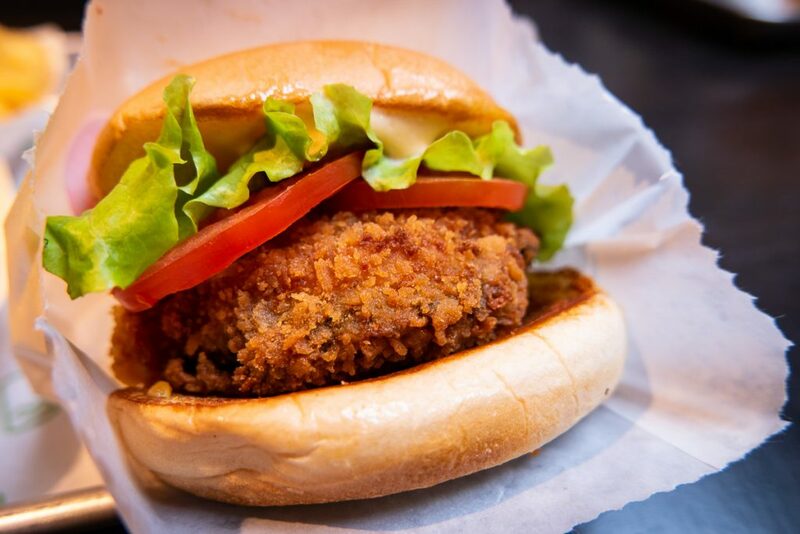 They also have a vegetarian option, the ‘Shroom Burger (¥63), which has a crisp-fried Portobello mushroom filled with melted cheese, topped with lettuce, tomato and house-made ShackSauce. 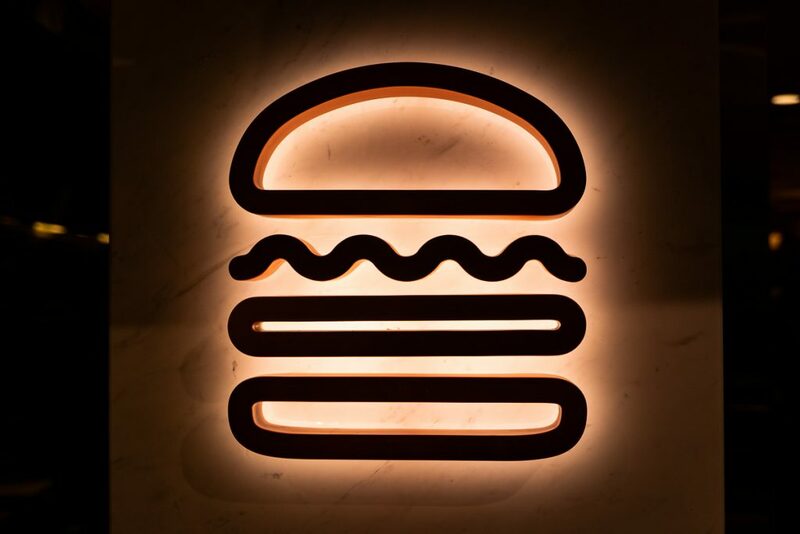 Shack Stack® (¥85) – Cheeseburger and a ’Shroom Burger topped with lettuce, tomato, ShackSauce™. 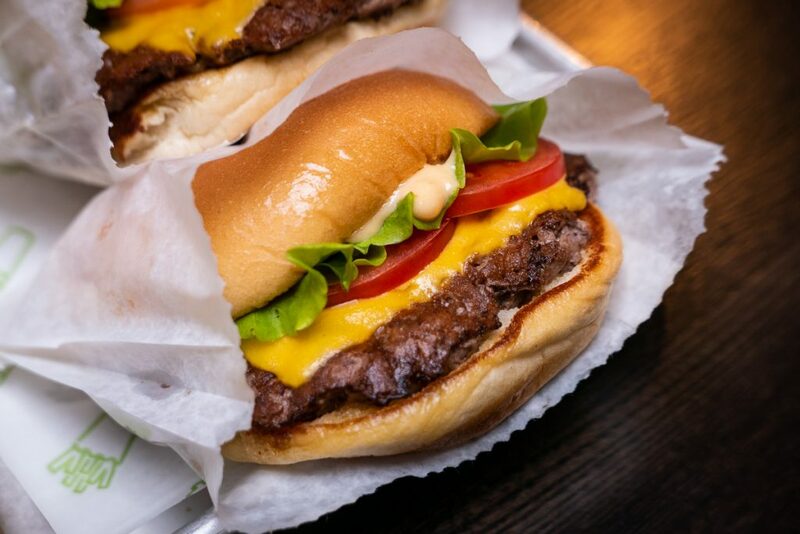 The molten filling oozes out when you bite into it. It’s oh so satisfying. 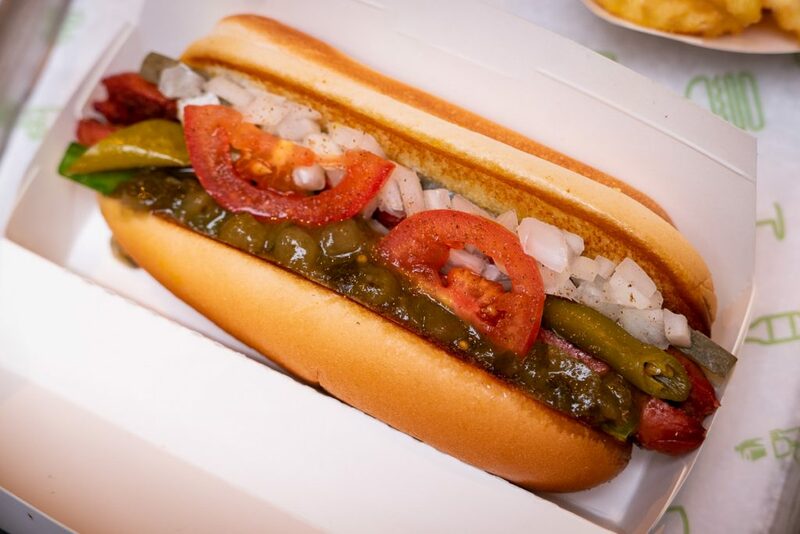 Shack-cago Dog® (¥39) – Rick’s Picks Shack relish, onion, cucumber, pickle, tomato, sport pepper, celery salt, and mustard. 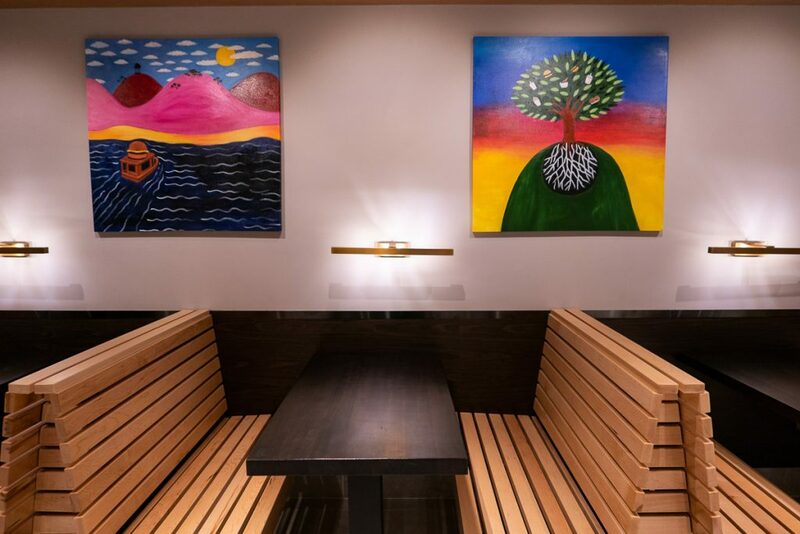 Fries (¥25) / Cheese Fries (¥34) – Opt to get your crinkle-cut fries with their cheese sauce, a blend of cheddar and American cheese. 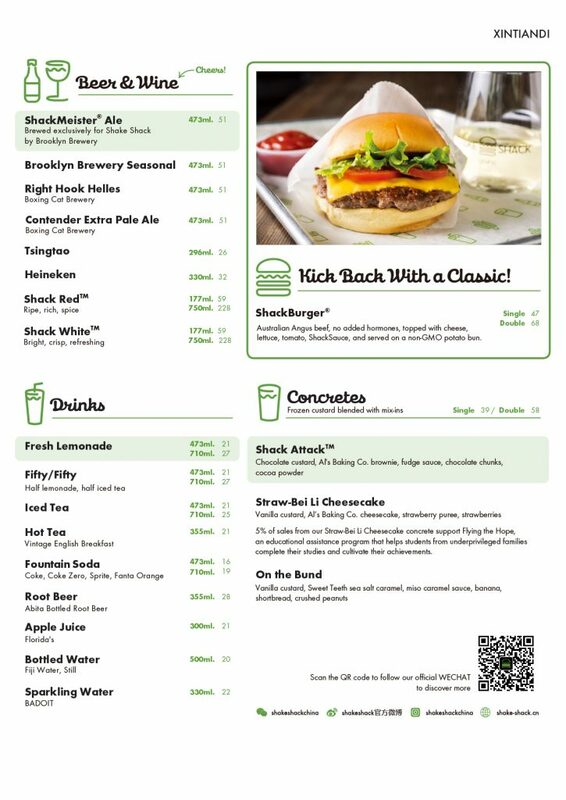 Drinks include the ShackMeister® Ale, brewed by Brooklyn Brewery exclusively for Shake Shack. 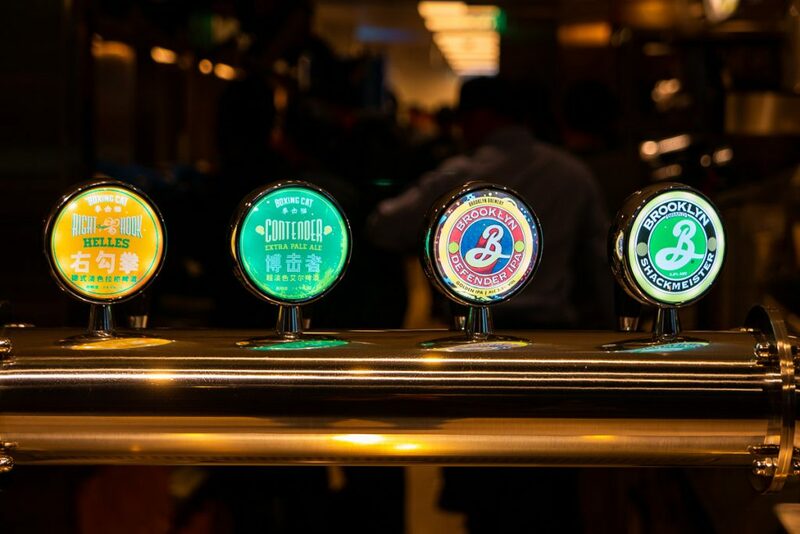 The extended beer list also includes Defender IPA from Brooklyn Brewery and local favorites from Boxing Cat Brewery: Right Hook Helles and Contender Extra Pale Ale. 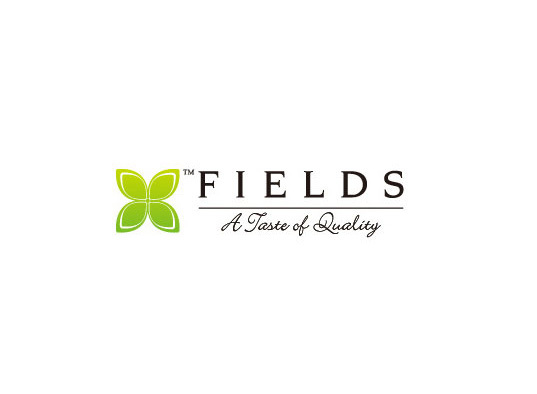 They also have wine! 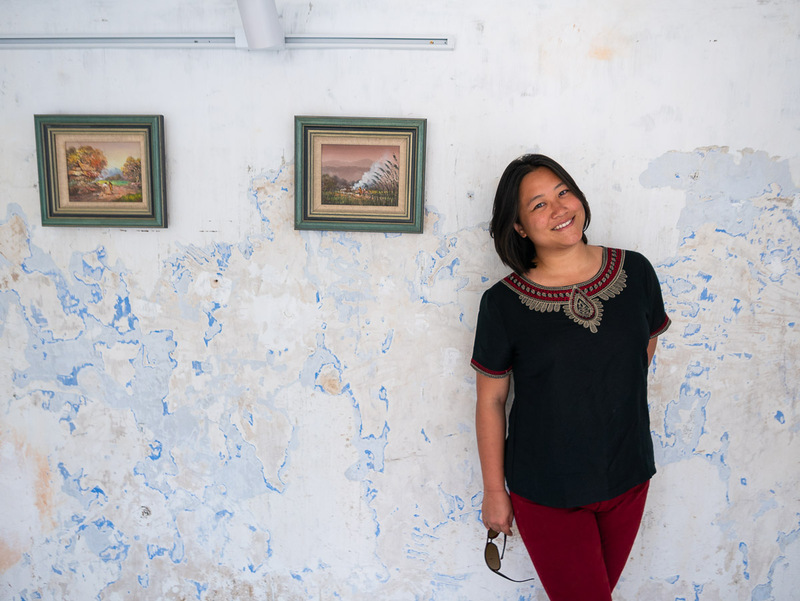 Shack Red and Shack White wine from Domaine Lafage. 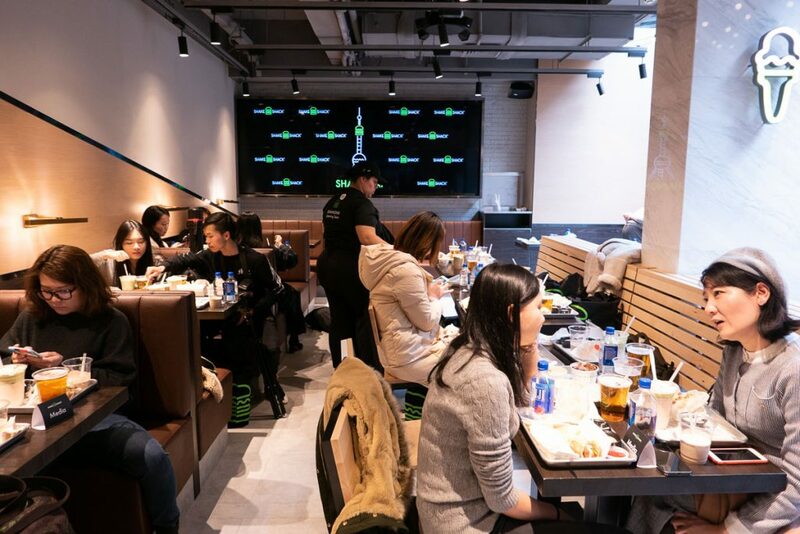 Real Talk: How was it? 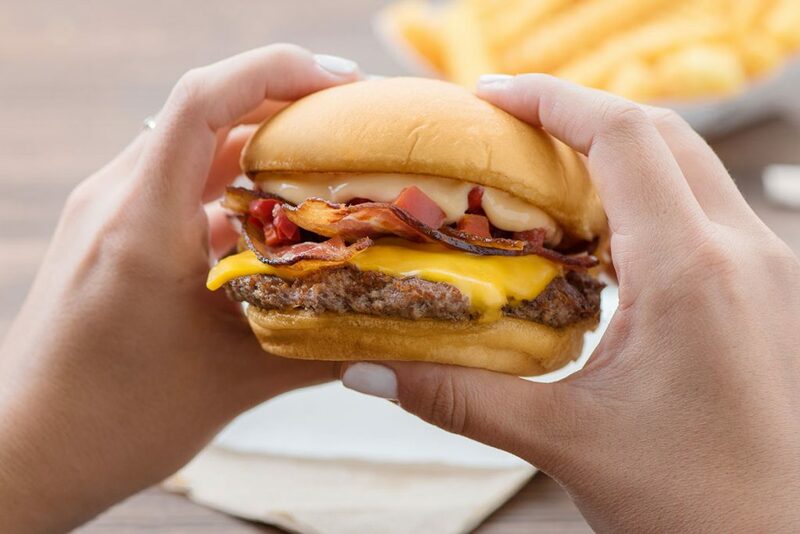 The ShackBurger® is pretty freaking delicious. 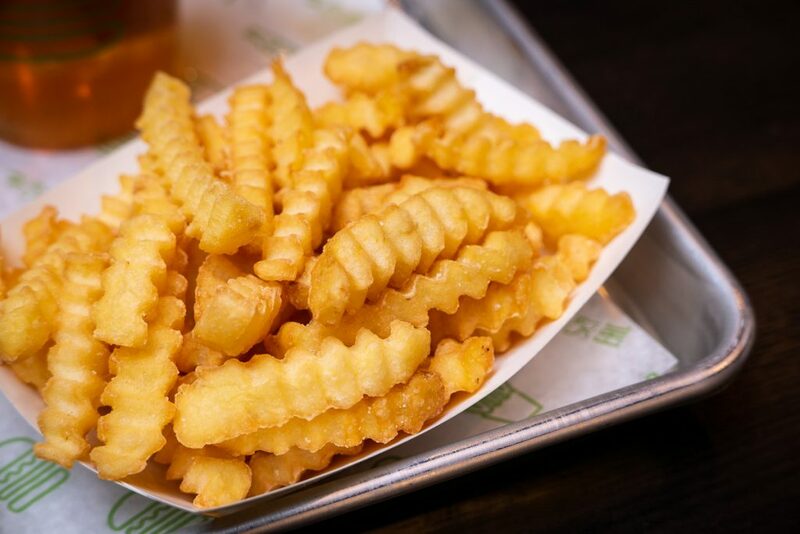 There’s magic in that sauce. 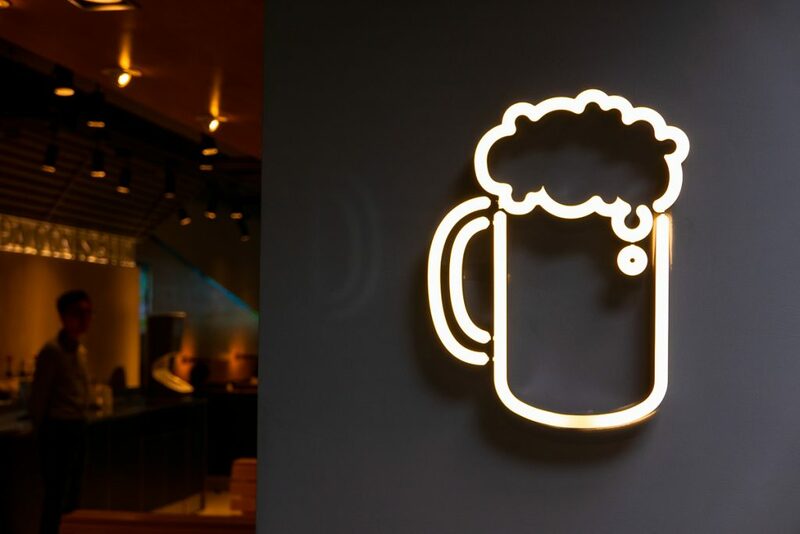 I’ll definitely be back for that. 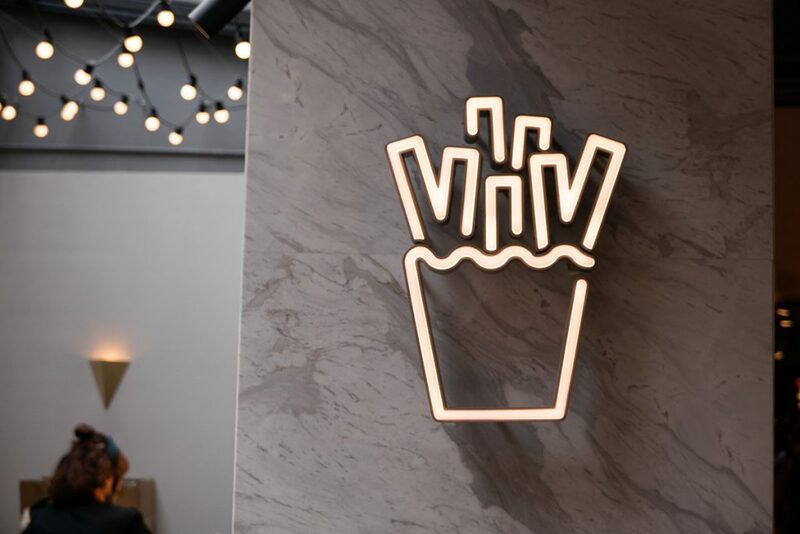 The fries are perfectly engineered to hold oodles of sauce. 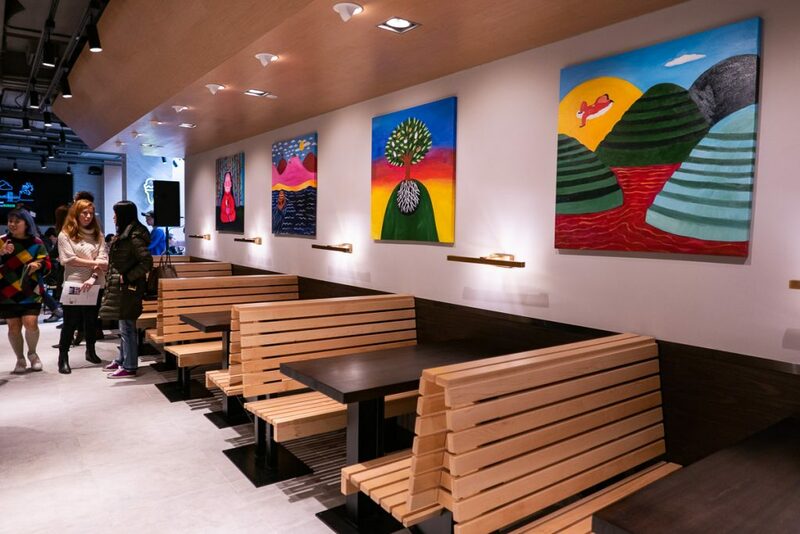 And if there are any vegetarians looking to pig out, the ‘Shroom Burger will more than satisfy. 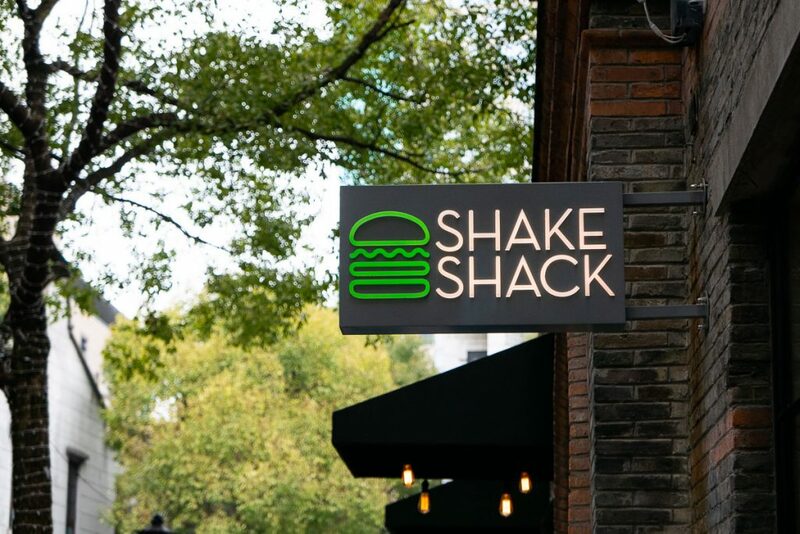 Though, that shake was wayyyy too much for me to consume in one sitting. 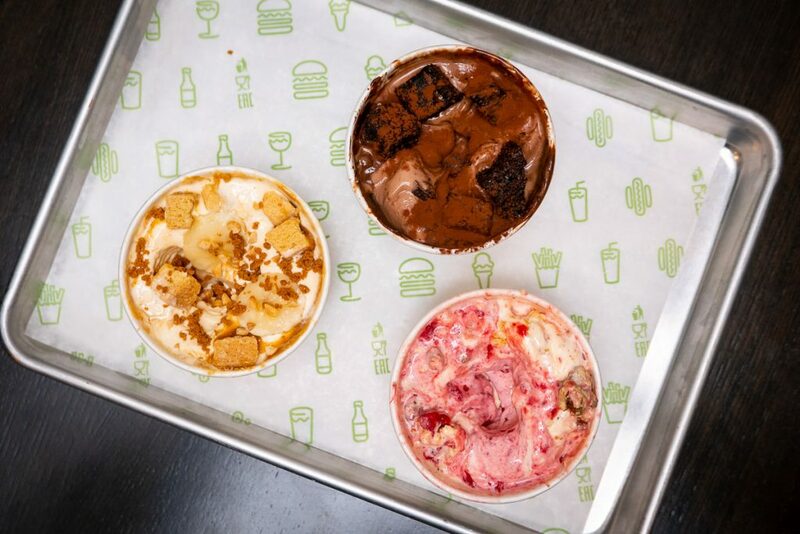 I’m sure people with a sweettooth wouldn’t hesitate. 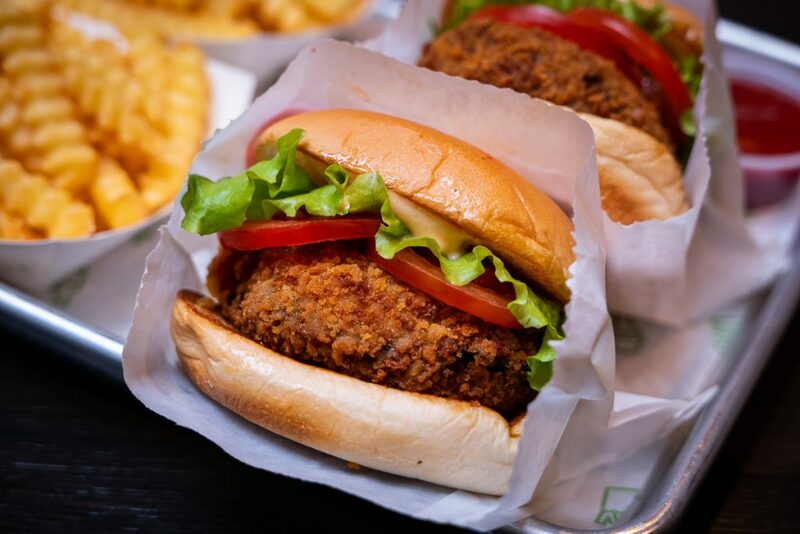 Update: Shake Shack plans to open 25 shops in China before 2028. 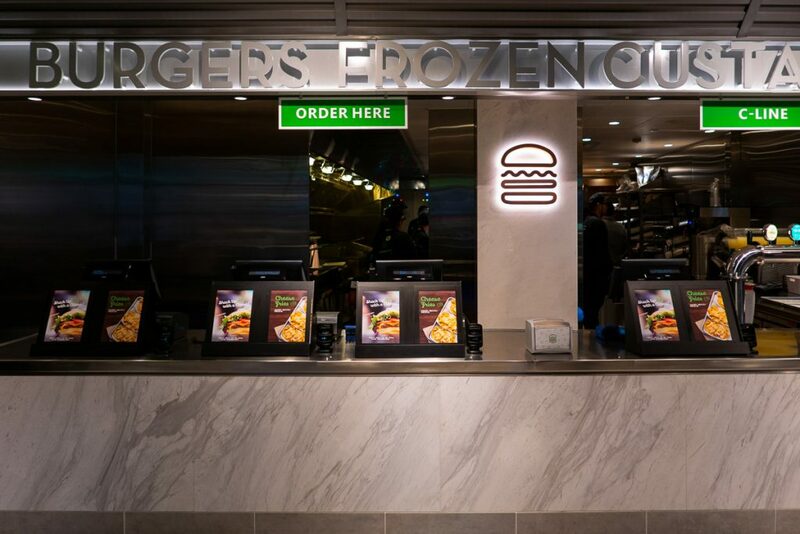 Plus, they’ve announced Singapore as their next stop in Southeast Asia, opening at The Jewel project, attached to the Changi Airport in Q2 of 2019.